Prague Castle, the official residence and office of the Czech President is also the largest ancient castle in the world (its area is more than 7 hectares). 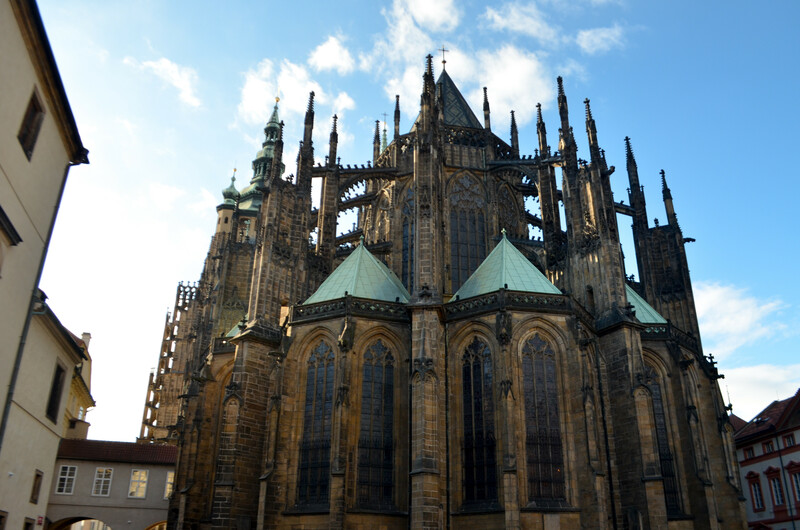 Constructed in the 9th century by Prince Bořivoj and renovated many times since then, the complex includes churches, gardens, alleyways and royal residences. Take tour around the architecture landmark with this photo essay. Roof of Saint Nicholas Church. 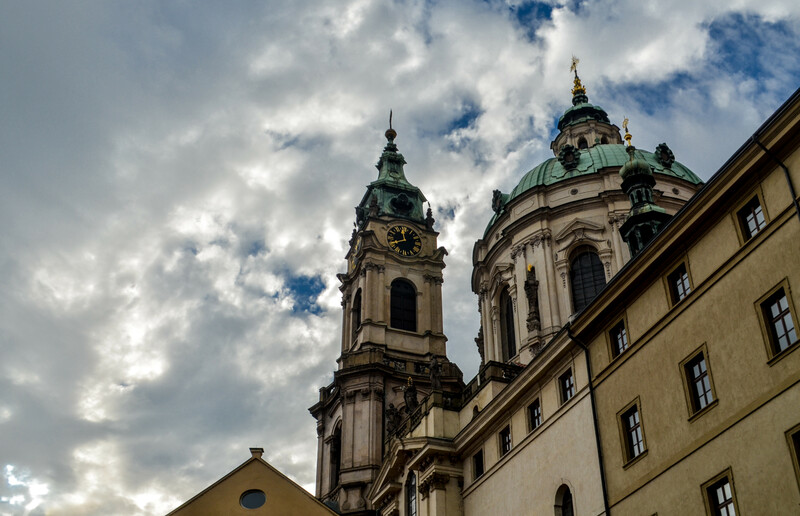 One of the most remarkable piece of baroque architecture in Prague is just stones throw away from the Prague castle. 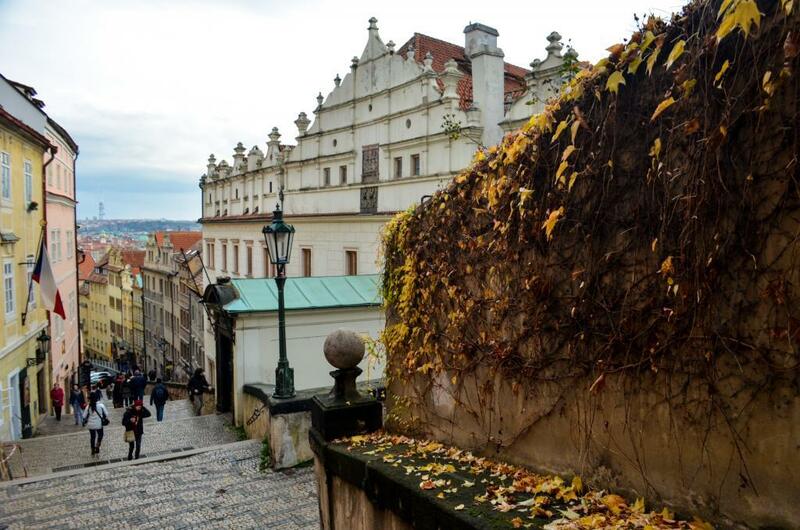 Staircase leading from Lesser Town to Hradčany towards the Prague castle. 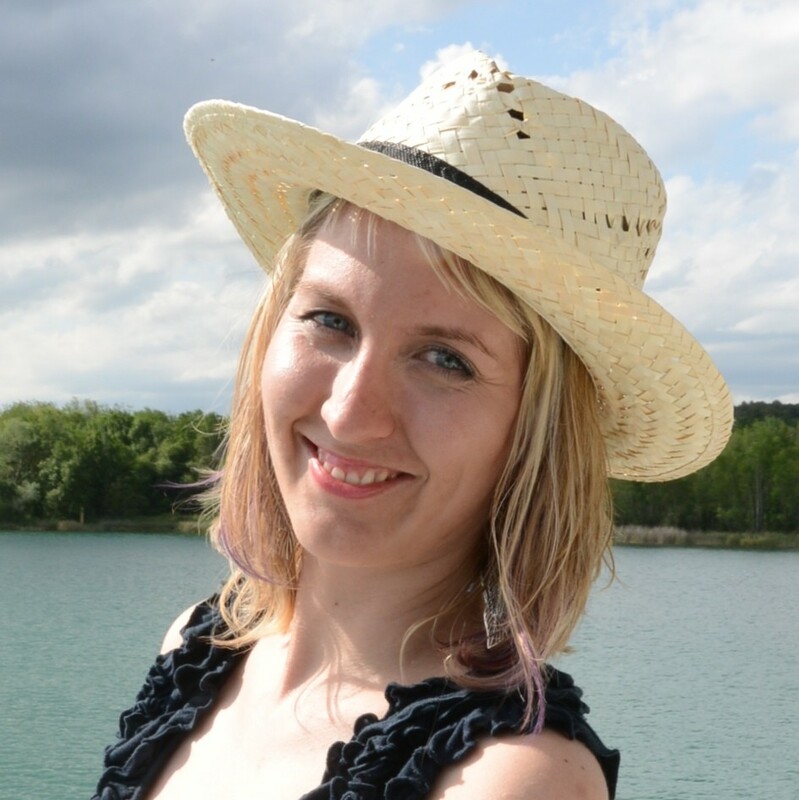 This time with autumn colors. 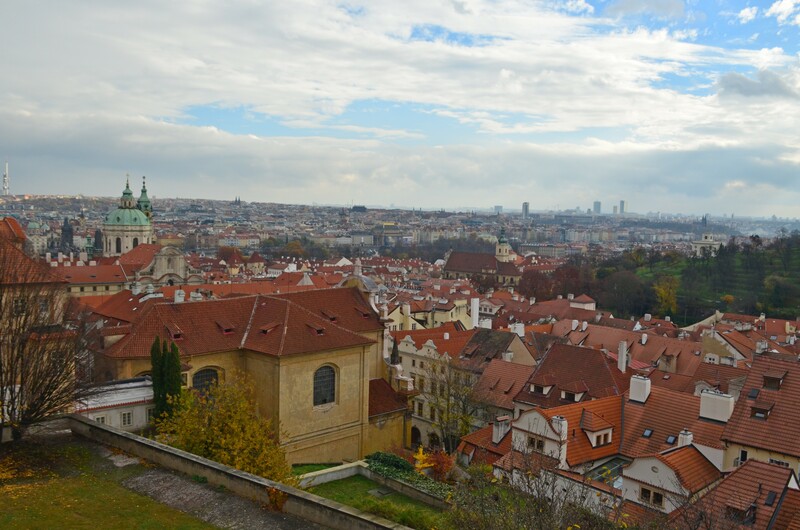 Prague panorama from Hradcany. Of the the classical photographs from Prague. 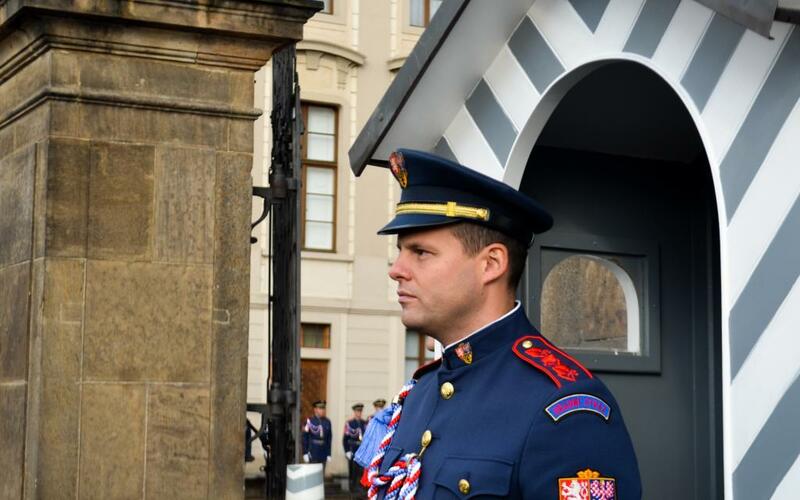 If you come to Czech capital, you can’t miss it. 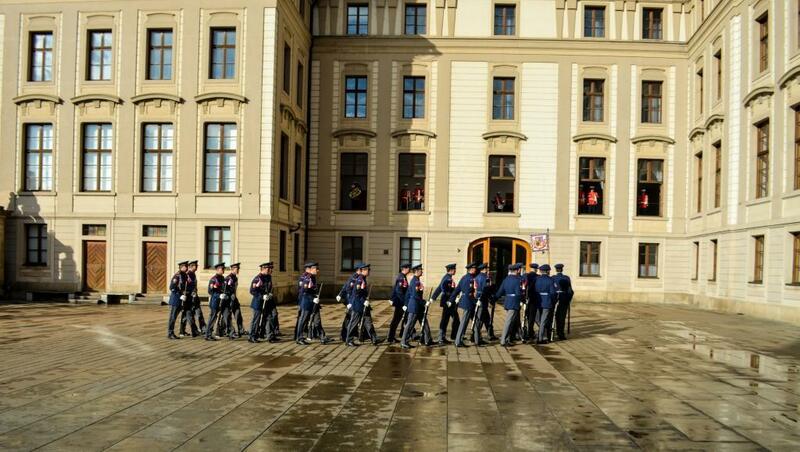 The changing of guards – traditional ceremony taking place at Prague castle. 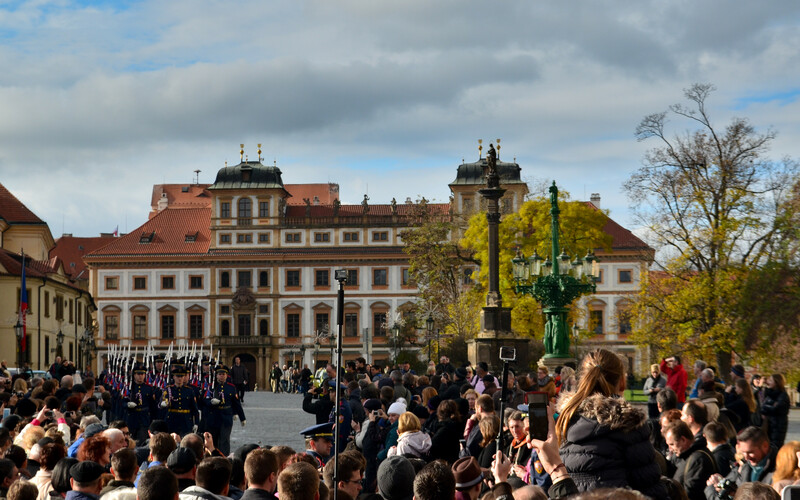 The most spectacular ceremony it is taking place every day at 12 pm including a fanfare and the flag ceremony in the first courtyard. Apart from that, there is classic guard changing taking place twice a day at the gates. 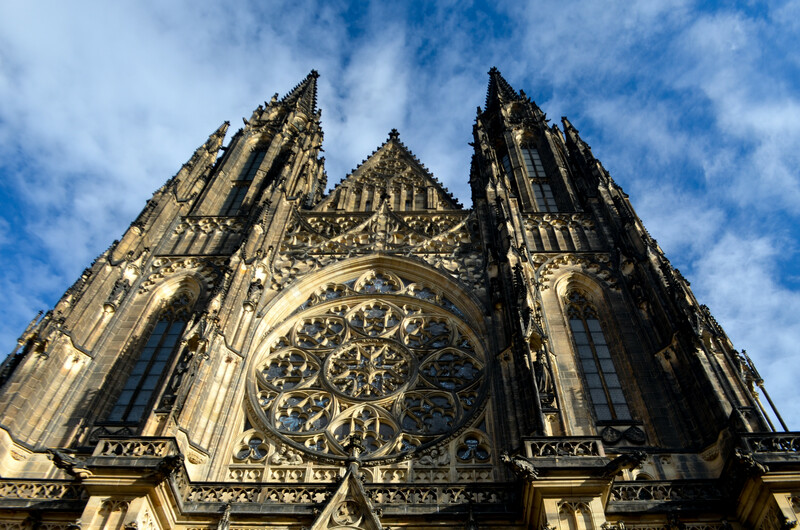 Cathedral of St. Vitus – The greatest Baroque church in Czech republic and the highlight of the Prague castle visit. Front wall of St. Vitus cathedral. The biggest and most important church in the country. 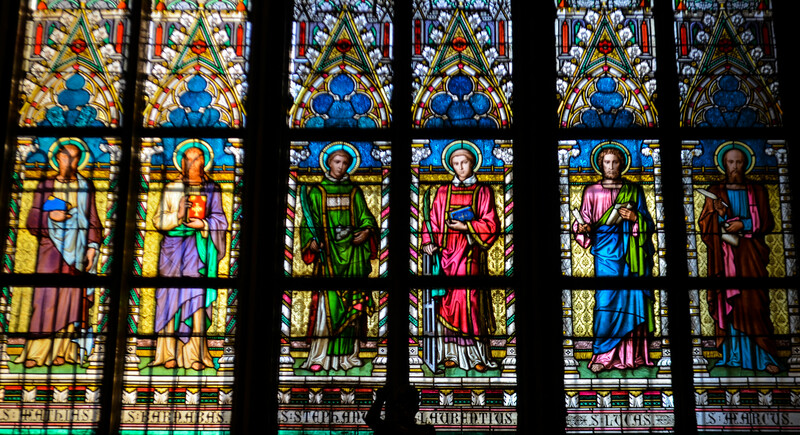 Inside the St.Vitus cathedral. 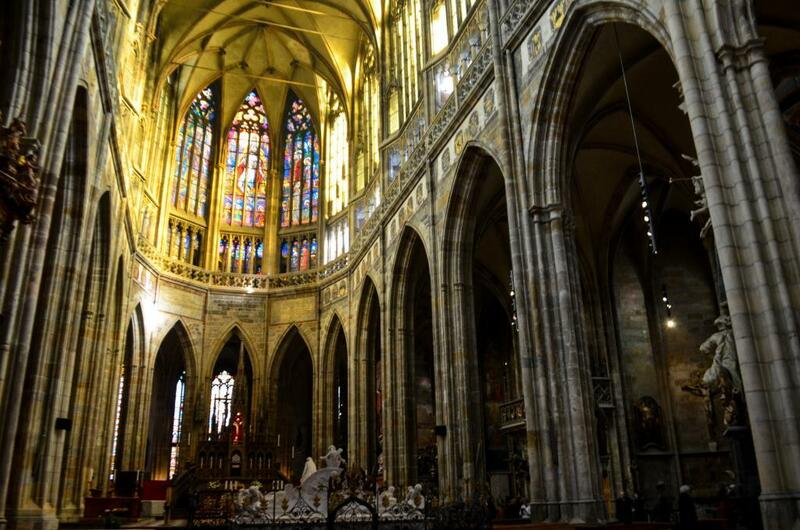 The church houses the crown jewels and the tomb of “Good King” Wenceslav. 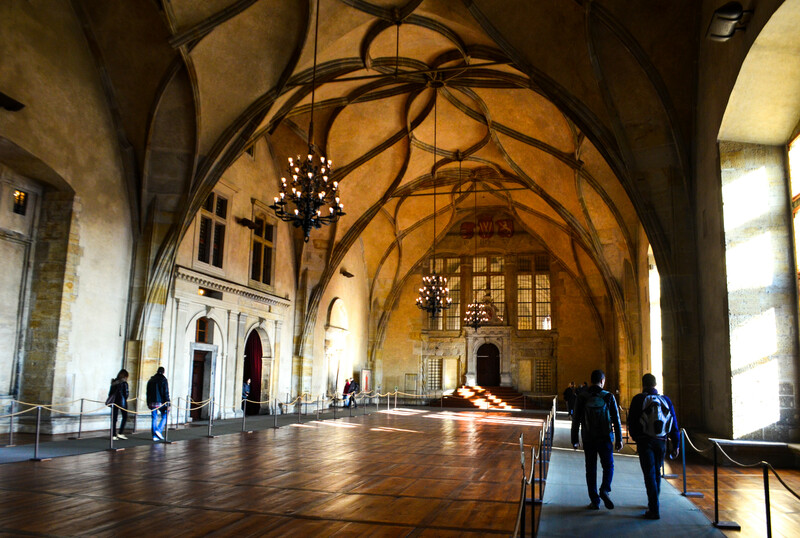 Vladislav Hall – one of the most important halls in Prague castle used for large public events yet nowadays. 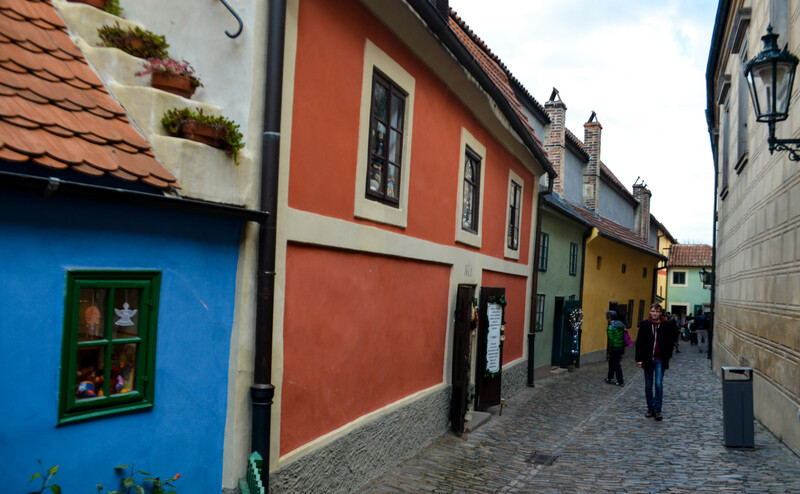 Colored houses in Golden Lane – a street at the Prague Castle. Legend says that alchemists used to produce gold here in 16th century. 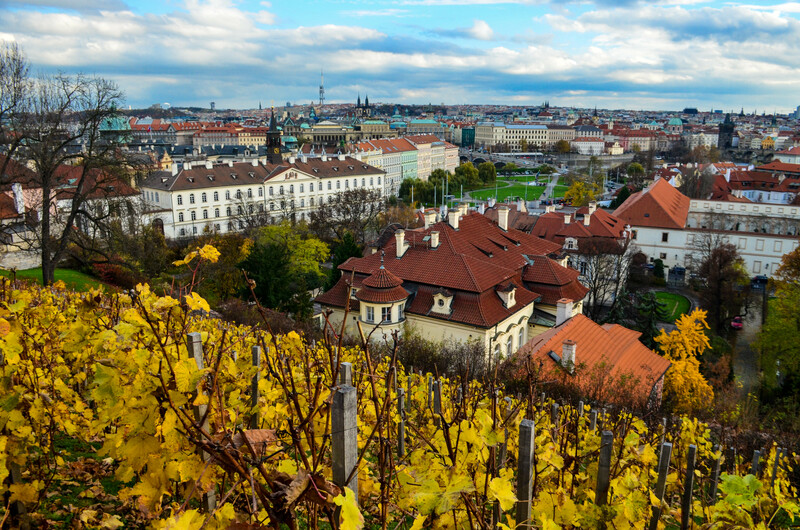 Prague panorama from Saint Wenceslas Vineyard at Prague castle.